I am selling a beautiful Inbal Dror wedding gown.I wore this stunning dress for my wedding. 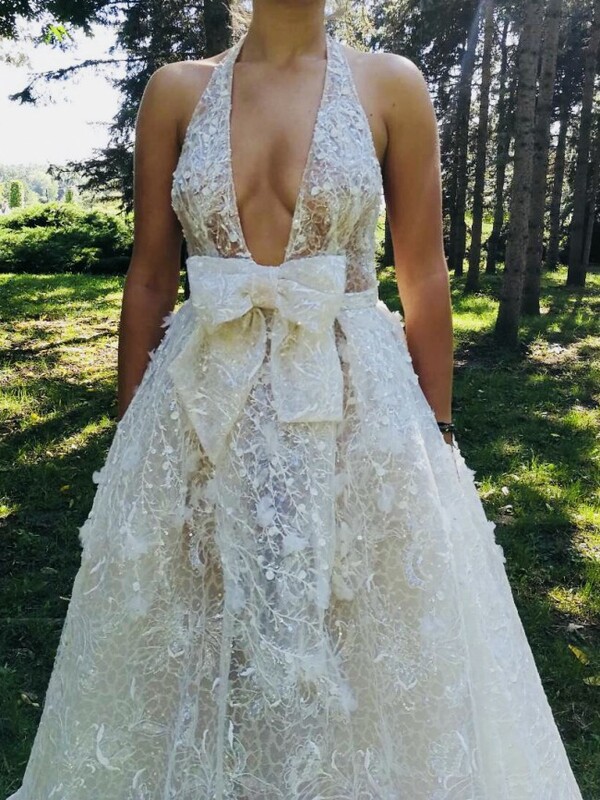 It was the most remarkable night in my life and the most beautiful dress I could have asked for! Dress has been professionally dry cleaned and preserved. Please note: These are pictures of my personal dress. Dress will come with original Inbal Dror garment bag.